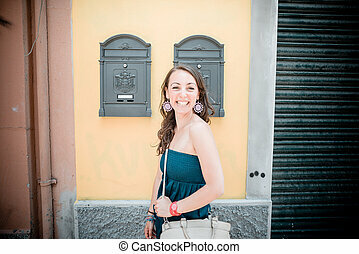 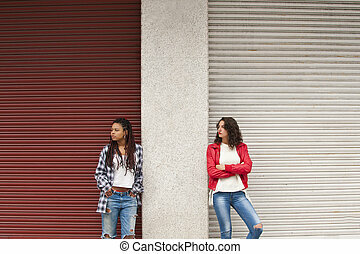 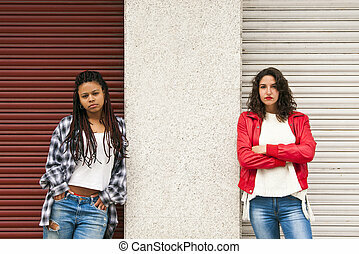 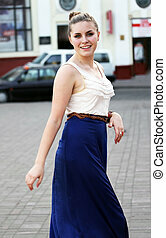 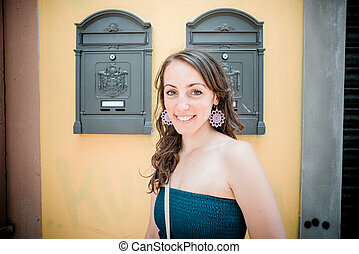 Beautiful urban woman, girl smiling in the city. 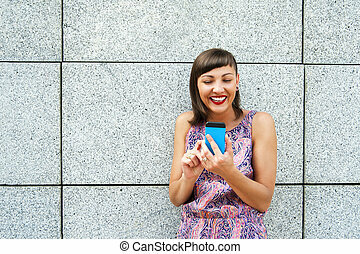 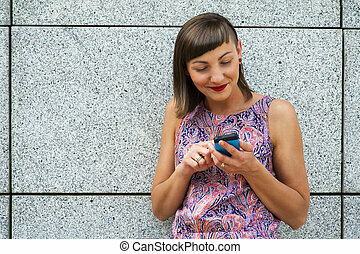 Young woman using her phone in the city smiling. 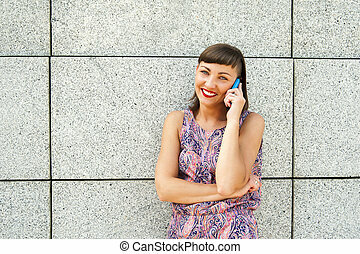 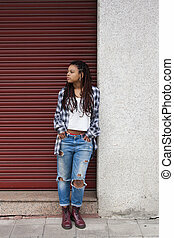 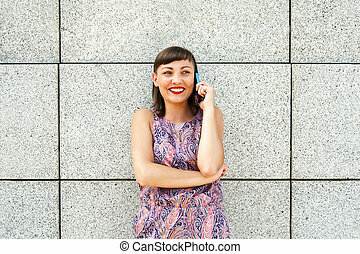 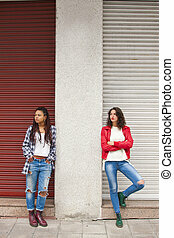 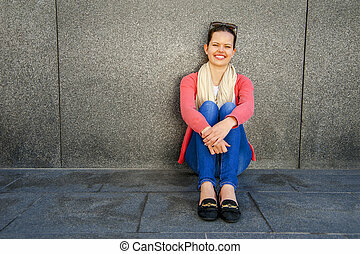 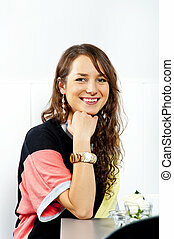 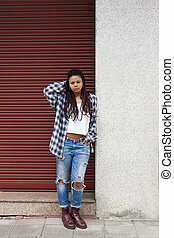 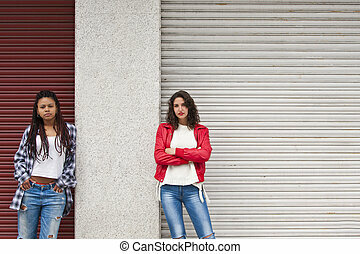 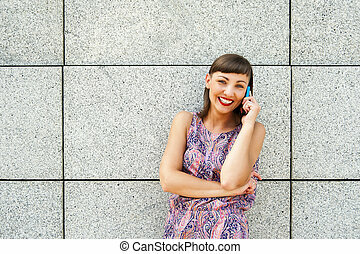 Young woman talking on phone by the wall in city smiling. 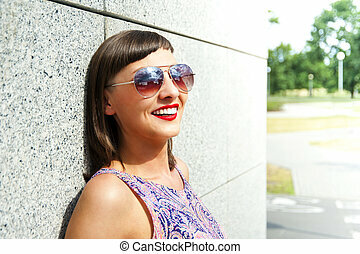 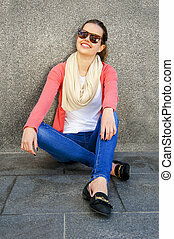 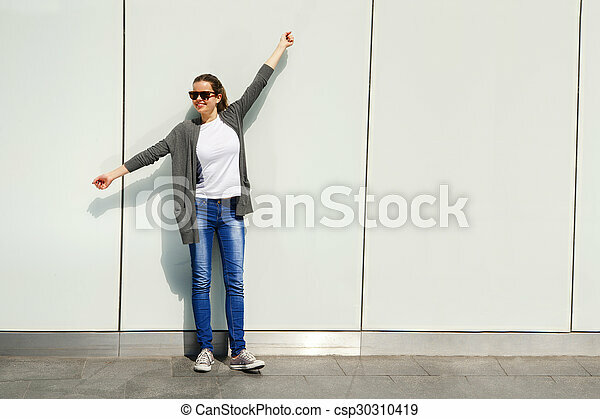 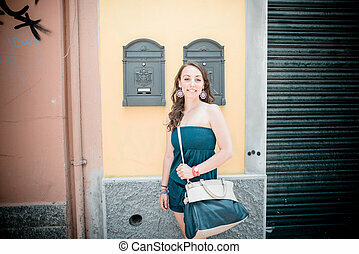 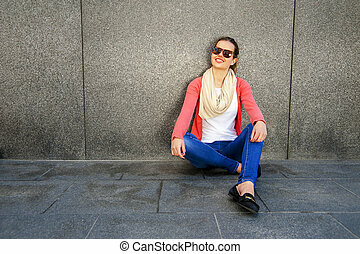 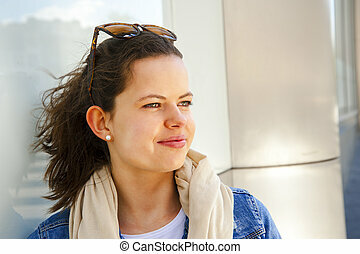 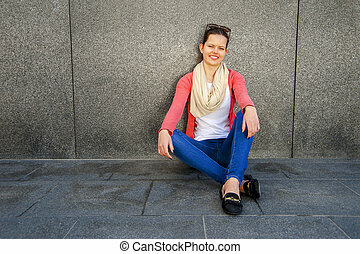 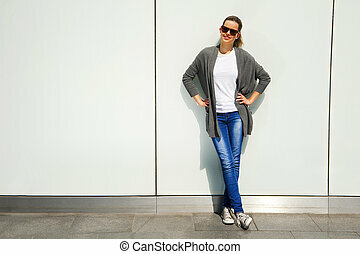 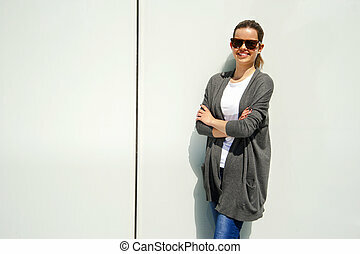 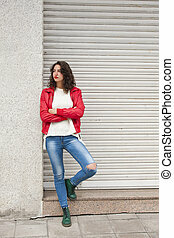 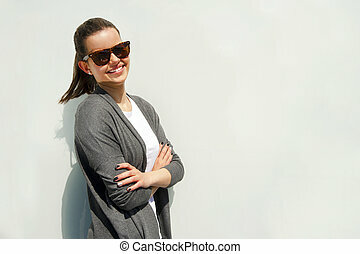 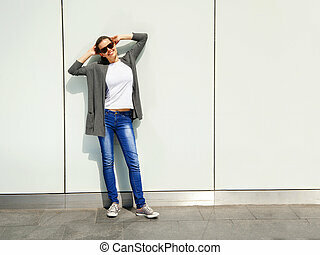 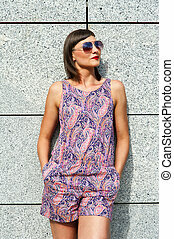 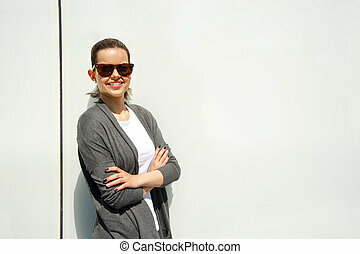 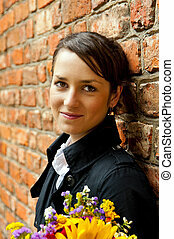 Young modern woman in sunglasses by the wall in city smiling. 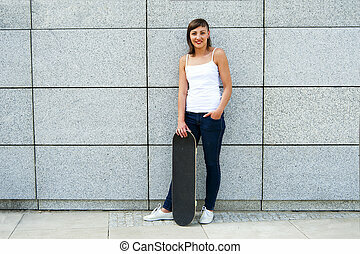 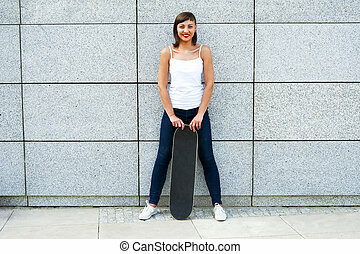 Young girl with skateboard in the city by the wall smiling. 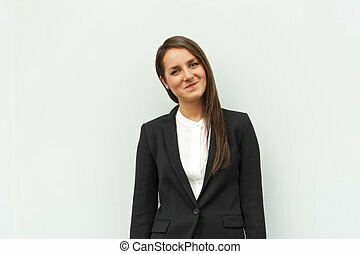 Business woman by the glass wall in the city smiling at camera.